FleishmanHillard will work to align Crocs' brand messaging around the world. NIWOT, CO: Shoe manufacturer Crocs has appointed FleishmanHillard as its first global PR AOR, following an informal review. Fleishman, which has been working with the brand on projects since early fall, will start its official one-year contract with the brand on January 1, 2016, said Terence Reilly, senior vice president and CMO at Crocs. Even though Crocs reviewed a small group of agencies, Reilly said it was less formal than most RFPs or search processes because he knew "Fleishman was really the gold standard." Reilly had worked with Fleishman when he served as VP of marketing at Famous Footwear before joining Crocs in 2013. "The driving force behind the decision for FleishmanHillard was their ability to help the Crocs mission to further align our consumer messaging globally," said Reilly. "Whether it’s in mass media or PR channels, we want to make sure it’s unmistakably Crocs every time." While Fleishman is Crocs’ first global AOR for communications, the brand works with Linhart PR on projects in the US, focusing mainly on corporate efforts. On the advertising side, McKinney handles global media planning and buying for Crocs, along with a significant portion of the brand’s creative work, said Reilly. 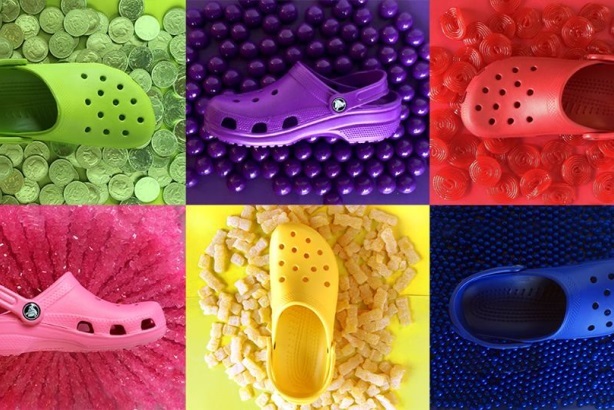 In addition to communicating Crocs’ voice consistently across its six key markets – the US, UK, Germany, South Korea, Japan, and China – Fleishman will highlight the brand’s 2016 spring/summer styles, as well as its classic clog. "As we really effort to become the world’s leading casual footwear brand, we started a global campaign in March called #FindYourFun, and we’re looking to amplify that in 2016 beyond the branding and to highlight the shoe beyond the one that started it all for us," explained Reilly. He added that some aspects of Fleishman’s work may have social media implications, but social is handled mainly by McKinney and in-house. Budget information on the account was not disclosed.